GRP is a fully licensed and insured demolition, refurbishment & asbestos removal contractor with over thirty years of professional experience. Our extensive operation is located in the North of England, with offices in Northallerton, Leeds, Durham, and Cumbria. We operate throughout the UK and Ireland. The skilled workforce right through from the operatives to the directors are both external and in-house trained to NVQ CSCS/CPCS and HSE demolition requirements. We have built our unique reputation on our efficiency and professional approach to all projects. 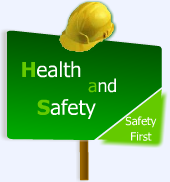 We pride ourselves on our ability to maintain high standards of not only quality but also health and safety. We take our environmental responsibility seriously by minimising the amount of waste which is sent to landfill and carefully handling hazardous materials to avoid any accidental environmental release. We have a continuous training programme where we develop the necessary skills of our workforce to provide the highest level of service to our clients. We apply professionalism to every project we undertake. We specialise in demolition, refurbishment, asbestos removal and site clearance and carry out projects of all sizes for local authorities, government bodies, major construction companies, architects, private clients and developers.